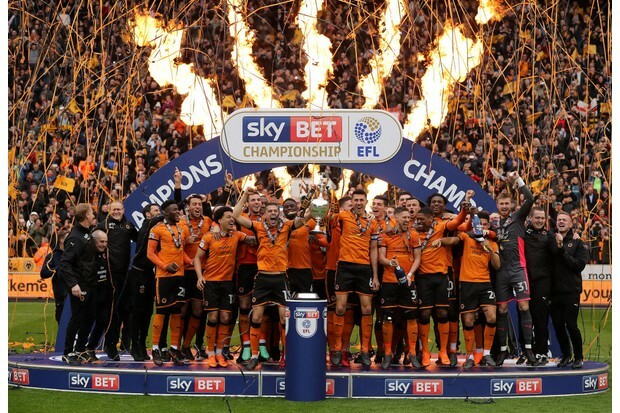 November 12 – A row has broken out over English Football League TV rights with 15 tier two Championship clubs claiming the rights should be worth more, claiming a bigger share of the TV deal and threatening to breakaway from the EFL unless they receive the money. Clubs leading the way with the threatened breakaway include Leeds United (owned by Andrea Radrizzani), Aston Villa and Derby County. Radrizzani was previously a principal in the TV sports rights agency MP & Silva which in the last few weeks went spectacularly bankrupt. The new five-year deal with Sky was due to be signed off last month, and is worth £119 million annually, compared to the £90 million value of the current contract. Championship clubs under the current proposal would get £2.95 million each per season, with a further £17.7 million allocated via appearance fees. But the breakaway clubs are saying they should be getting double that figure. League One and League Two clubs have already given their backing to the deal which would see their payments increase increased from a basic £708,000 and £492,000 respectively to £884,000 and £613,000 per season. The number of matches screened live by Sky will rise from the present 148 per season, plus play-offs, to 183 under the new deal and another 80 via the red button. The deal includes matches in the Carabao Cup, whose value as an EFL competition is that it include Premier League clubs. The EFL has given the Championship clubs until Monday to sign the deal though what happens beyond that point is unclear. The number of matches screened live by Sky under the proposed deal would rise from the present 148 per season, plus play-offs, to 183 under the new deal and another 80 via the red button. The threat of breakaway has caused resentment amongst other EFL club chairmen who have generally prided themselves on league solidarity – one of the founding principals of the EFL. Privately they blame the increase in foreign owners taking a shot at the Premier League prize money and caring little for the culture and practices of the professional English club game. One Football League chairman quoted by The Sun newspaper said: “I am not completely sure what the agenda of these 15 clubs is but their bullying tactics beggars belief. “They are certainly not interested in the wider good of the Football League clubs, only their own situations. “I am told the Premier League are not interested in linking up with them and I’m not sure how any new stand-alone league would work. “What these clubs don’t seem to be taking into account is that 35 per cent of the Sky money is for the Carabao Cup and they won’t be eligible for that.